Music class was special!!! Ololade brought a roll of these, which I didn’t even know existed -> ‘Magic’ Erasable Whiteboard. Turns out this thing came out of Dragon’s Den. If you are as fascinated by it was I was, go here for more info. 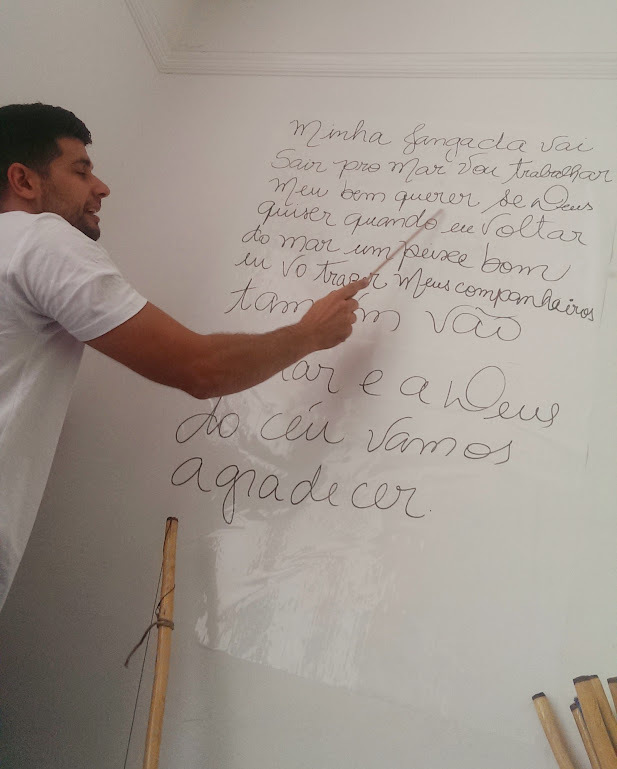 When Mestre Poncianinho pulled a sheet out, I was thinking ‘how the heck is going to stick it to the wall? Going to need some sellotape’ Everyone gasped with delight when we realised magic = static. The thing just stuck to the wall, much like cling film… Hurray! 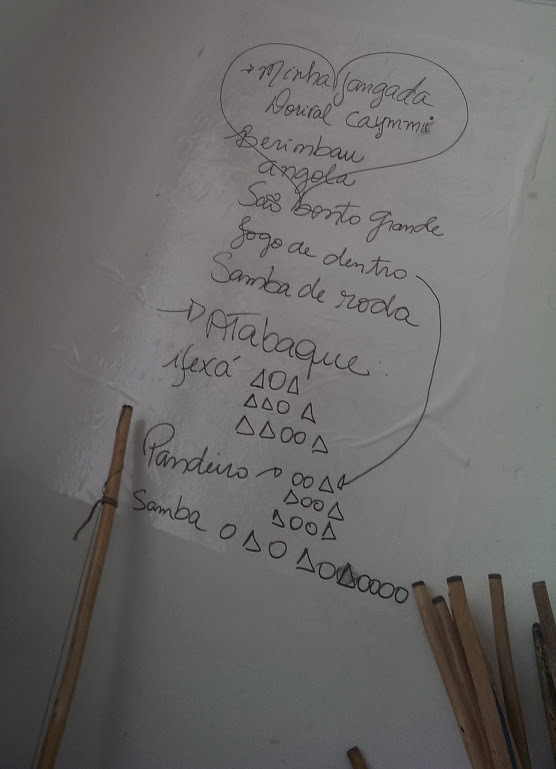 I don’t normally play the atabaque in music class, but today I decided to play it and James showed me ‘Puxada de Rede – one way of playing it: (double tum) ta tum tum ta – (double tum) ta tum tum ta ta‘. Which I will practice this week, along with Samba de roda, which I have been practicing since Luis taught me how to play it in Brasil. ← New songs! Trip to Barracão da Capoeira, Brazil!